Simpson has provided (20) M30 helmets to be painted up by artists from across the country. They will be featured at select custom bike shows and conclude their promotional tour in competition at the B2B industry show at AIMExpo – http://aimexpousa.com/. A VIP panel of judges cuts the field down to the top 5 designs. Simpson then selects their winning artist from the best-of-the-best. Simpson will use the winning design or work with the artist on a production design. Awards – Simpson provides the winning artist a design contract. The winner receives cash and a trip. Award details will soon be provided by Simpson. 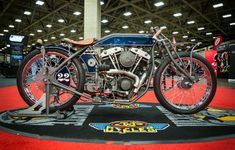 Simpson will make the award at 2PM on the media stage before the custom bike show awards on Sunday. 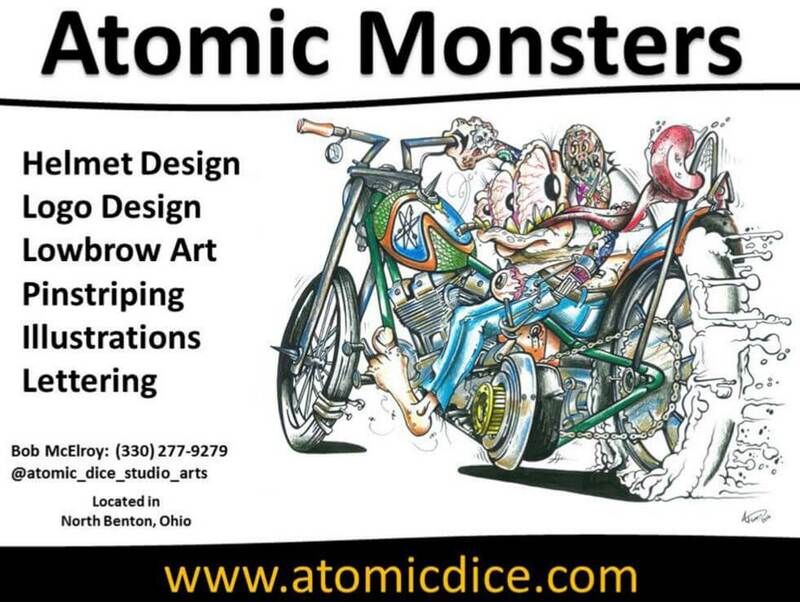 Atomic Bob offers a variety of art for automotive and motorcycle applications. He provides Lowbrow style of art as well as pinstriping, custom paint services, illustration, logo design. The Atomic one is known for his monsters & robots! 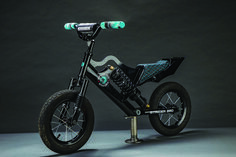 While building his reputation in the automotive and motorcycle industry, his work has also branched out to include custom logos, store fronts, vintage purses, leather goods, just to name a few. Most recently his panel work and fine art had been featured in several art galleries throughout the Bay Area. Jace has been working in the custom motorcycle industry since 2003. As an airbrush artist/ custom painter by trade, he has worked in may disciplines from Low riders, mini trucks, custom motorcycle, vintage motorcycles, race cars and many more. Krambos specialize in custom paint! They have EPA certified paint technicians. Chris Krampe and Dusty Pine have over 50 years of experience between them. They pride themselves in high quality paint and award winning shine! Krambo’s opened in 2008. Since then we have been building, servicing and painting V-twin motorcycles. Mission – Timebomb Kustoms’ mission is to provide the customer with the best quality pinstriping and art at affordable prices. Mo Diaz Custom Paint & Pinstriping creates Mild to Wild Designs from his HQ in Miami,FL. Award winning custom work and pinstriping. 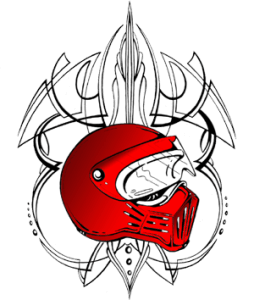 Southeastern Customs Chopper and Hot Rod Shop LLC is a custom motorcycle shop located in Southeastern NC. 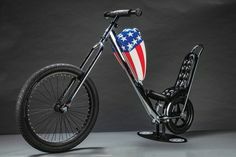 They build one-off and custom bikes of all brands. 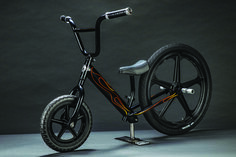 They strive to make each and every customer’s bike dreams come true. Nothing to mild or to wild that the ‘lil shop in NC can’t create. Chop Docs Choppers is custom motorcycle company, specializing in old skool – one of a kind custom motorcycles, fab work and custom paint. Old Skool is so kool! Tattoo & Piercing Shop – Right Coast Tattoo is the premier shop at the beach in Ocean City, MD. Infinite Custom Werks does custom projects including hot rod builds, motorcycles, signs, pin stripping & unique items like vintage steel furniture. ZM Custom Paint provides custom airbrush, hand painted pinstripes, custom motorcycle finishes, cars, hot rods, helmets and guitars all out of Raleigh, NC. A Salisbury, MD. artist that specializes in hand painted pinstriping, lettering and artwork on motorcycles, Hotrods and anything else that sits still long enough. Chris has (2) outstanding bobbers that he has had in his stable for 5 years+. They look as fresh and timeless as when he built them. And the paint? OMG — wicked. So we can’t wait to see what he comes up with this year. 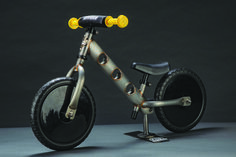 He works on bikes, boats and just about anything that needs an artist’s touch. Check him out. All three shops (paint, fab, and motorcycle) are under one roof! We are your one-stop shop—–all work is done IN HOUSE… Check him out. Krossover Customs Paint and Fabrication is out of Stanford, KY.